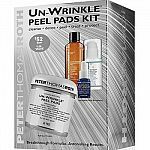 Peter Thomas Roth has select full-price kits for up to 50% off. Shipping is free on orders $50+. 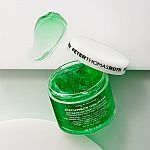 Peter Thomas Roth has Cucumber Gel Mask Super Size (32fl oz) on sale for $48 - 15% off with promo code "15OFFPTR" = $40.80 (was $150). Shipping is free on orders $50+. Peter Thomas Roth has Mega-Rich Intensive Anti-Aging Creme 3.4 fl.oz for $24 (was $120). Plus, get a FREE 24K Gold Pure Luxury Cleansing Butter 30ml and free shipping with promo code "BLACKFRIDAY2018". Peter Thomas Roth has new deals. Shipping is free with $50. 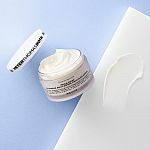 $25 Off Any Order + 15ml Un-Wrinkle Turbo Serum with code "BF254U"
Plus, stackable Extra 20% Off + Free serum with code "BF20OFF"
New Customers: Extra 15% Off with code "15OFFPTR"
Peter Thomas Roth has Cucumber Gel Mask (34 oz $150 Value) for $40.80 with code "15OFFPTR". Pick 3 free samples at checkout. Shipping is free with $50 purchase. Peter Thomas Roth has 24K Gold Mask 1.7 Fl Oz for $18 (was $58). Shipping is free on orders $50+. 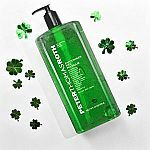 Peter Thomas Roth has Cucumber De-Tox Bouncy Hydrating Gel 50ml for $18 (reg.$48). Shipping is free on orders $50+. 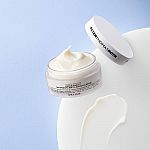 Peter Thomas Roth has Mega-Rich Intensive Anti-Aging Creme - Super Size for $24. Shipping is free with $50. Peter Thomas Roth has singles day special offers. Shipping is free with $50 purchase. Buy 1 Get 1 Free. Add 2 in cart see discount price.